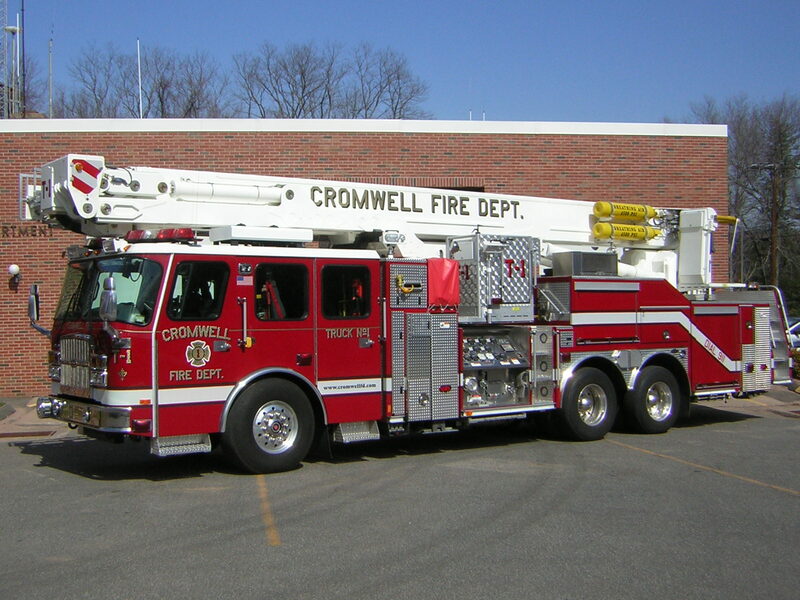 The Fire District has general supervision over the Cromwell Fire Department. The Commission appoints the chief, deputy chief and assistant chiefs and approves and executes by-laws and rules and regulations for the governance of the Fire Department. The Department has the authority to provide and maintain suitable fire apparatus, equipment and fire stations. The Department is on duty twenty-four hours a day, seven days a week, to answer your call for service. The Department responds to over 2,000 calls a year and also provides many other community services to the town and it's residents. The Department is on duty twenty-four hours a day, seven days a week, to answer your call for service. The Department derives its income from a fire tax and billings for ambulance services. The tax is on real estate and personal property listed on the same Grand List as that issued to determine your taxes for the general government of Cromwell. These revenues are used to fund the annual operating expenses of the Department and to help defray the purchasing of capital equipment. The anticipated operating expenses are detailed in an annual budget prepared by the Department, reviewed and recommended by the Board of Fire Commissioners and submitted to the Annual District Budget Meeting for approval. Based on this budget, the Annual Budget Meeting establishes the mil rate for the fire tax. To provide for a consistent and level tax rate, the Department maintains a Capital Equipment Reserve Fund. The Fund is used to finance the Fire Department’s five-year capital plan. Each year the District’s budget includes a contribution to the Equipment Reserve Fund to be used for the purchase and updating of Fire Department equipment, apparatus and ambulances as well as major additions and repairs to Department buildings and facilities. The Fire Department currently is made up of a Chief and seven full-time Firefighter/EMTs. The Department is also comprised of approximately seventy volunteer members. In addition to preservation and protection of life and property from and during fires or emergencies, the Department also provides emergency medical care and ambulance transportation to all residents and to any person who becomes ill or injured while in the Town or in designated mutual aid areas. © Copyright Cromwell Fire District. All Rights Reserved.